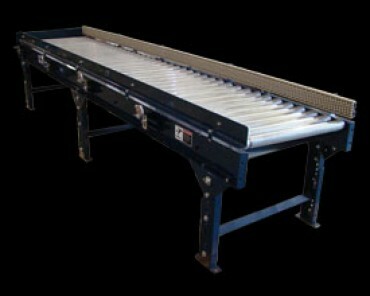 Omni Metalcraft Corp. is a leading manufacturer of conveyors, conveyor rollers, and other material handling equipment. Omni Metalcraft Corp.’s customer service, competitive pricing, quick lead times, and quality products help you succeed. Whether your project is big or small, custom or standard, Omni Metalcraft is here to help. 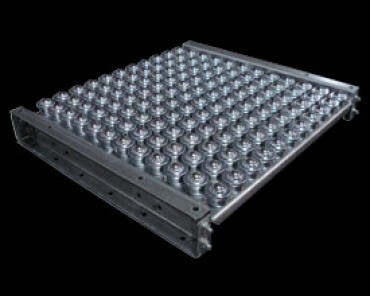 The Ball Transfer Table is used when products need to be manually rotated or correctly positioned, such as a work station or other operation that requires quick, easy handling of the product. 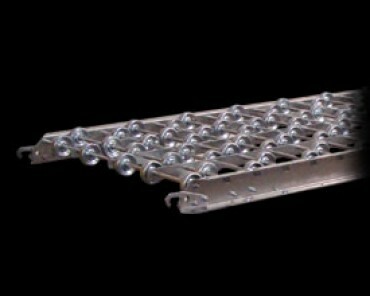 Ball Transfer Tables are also used when two or more conveyor lines converge and packages must be transferred from one line to another. Continuous Vertical Conveyors (CVC) are designed to elevate or lower cases, totes, tires, barrels and pallets in a continuous non-stop motion. CVCs are used to convey products over aisles, railroad cars or other obstacles. 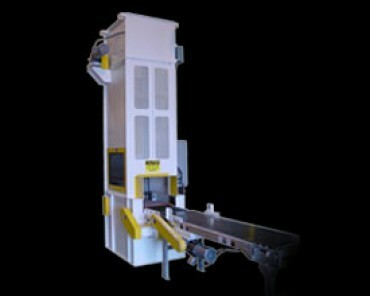 They are also designed for applications where you need to change floors or move products to a mezzanine or an overhead conveyor line. 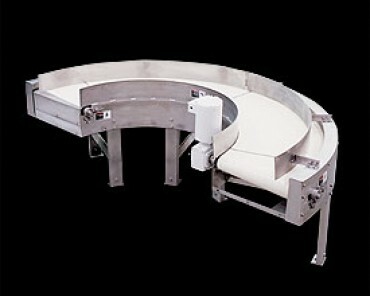 Gravity Skatewheel conveyor is an economical, lightweight, non-powered conveyor suitable for conveying light products and packages. The free-spinning wheels allow products and packages to be moved manually with minimal effort, or installed with a slight pitch and gravity takes over. 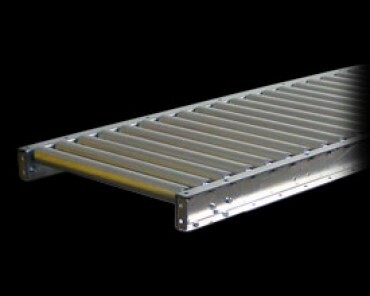 The light weight construction of this conveyor makes it ideal for portable applications and for even greater portability, choose the aluminum option. Stainless Steel and Washdown Duty Omni Metalcraft Corp. combines industry experience, proven engineering standards and design flexibility to provide the right solutions for applications that require stainless steel materials. From sanitary stainless steel processing conveyor to case handling and even rugged back-end pallet handling conveyor, Omni has the stainless steel solution to do the job. Omni is also able to provide unique equipment designs or any special features necessary to meet the requirements of your specific application.